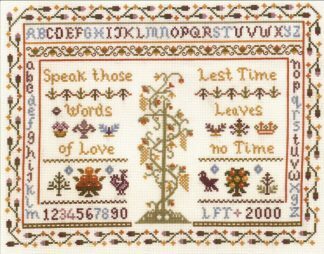 A traditional friendship sampler with two lovely sayings. 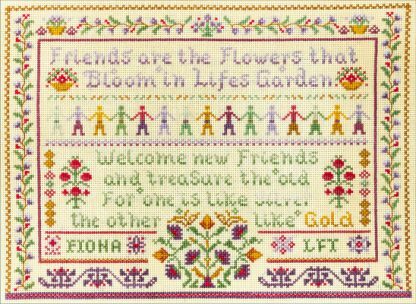 This sampler is a tribute to friendship and makes a wonderful gift to a true friend. 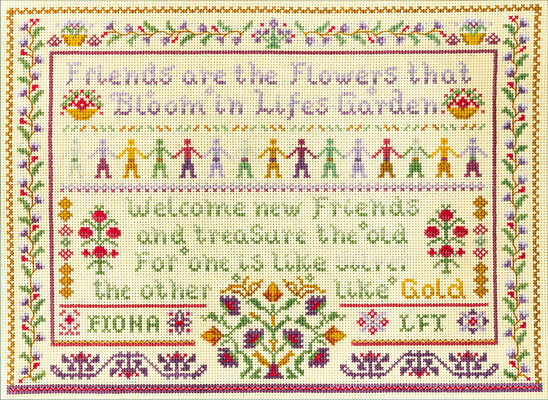 A friendship sampler with two lovely sayings in a traditional sampler design. 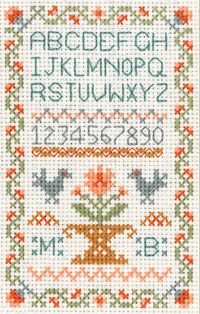 A full alphabet is provided for you to add either a name and initials or a year. 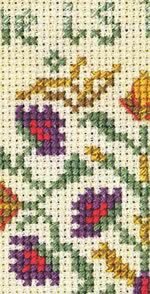 The sampler in the picture was tea-dyed before stitching in order to make it appear antiquated.